* The coordinate for the entrance is 130, 668. 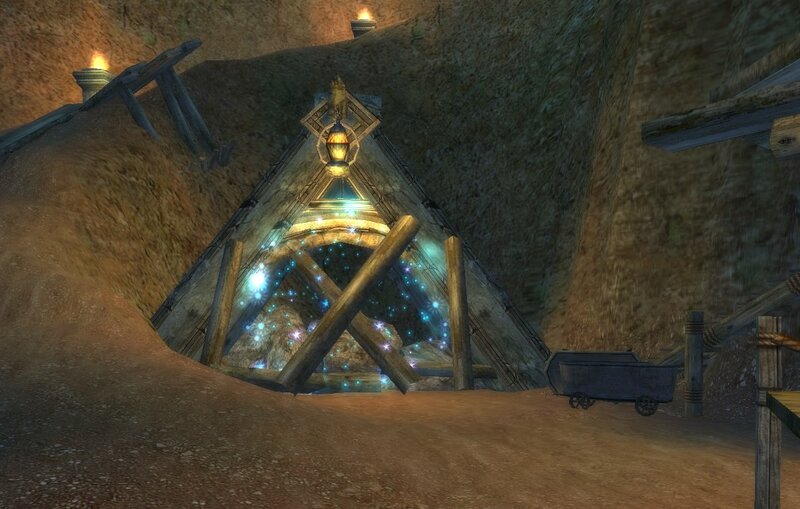 * There is an option to use the Illusion Stone in Archosaur South or Archosaur West. 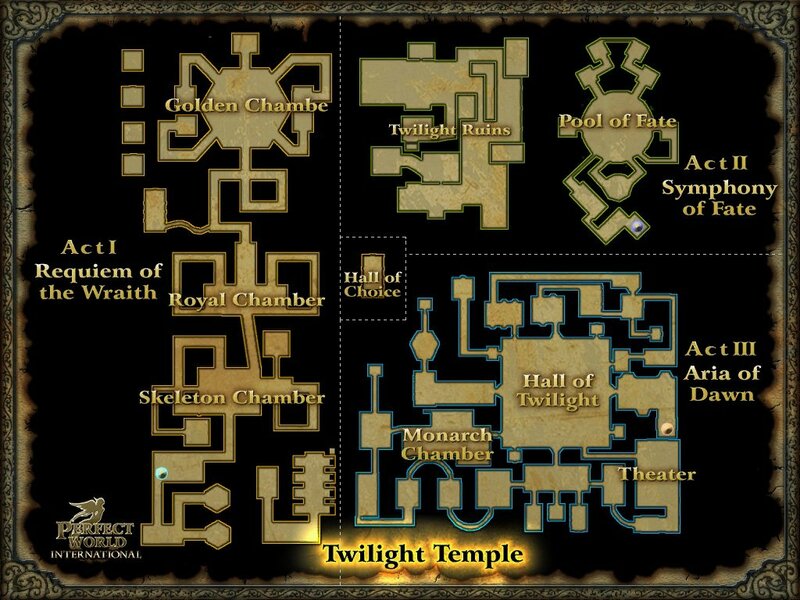 1) The Twilight Temple is separated into four areas. 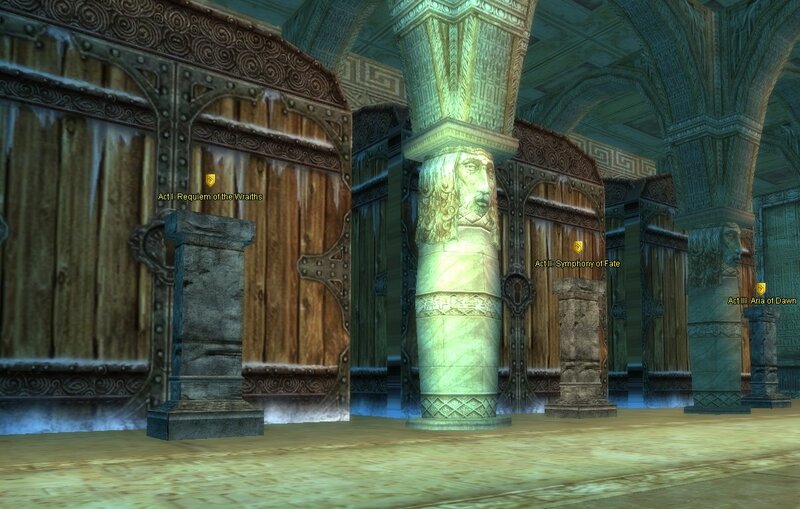 You enter into the Hall of Choice: This is where you choose which Act to select or use the forges. Access to each Act is blocked until you talk to the corresponding pillar, some parts of the acts are also blocked in solo mode. 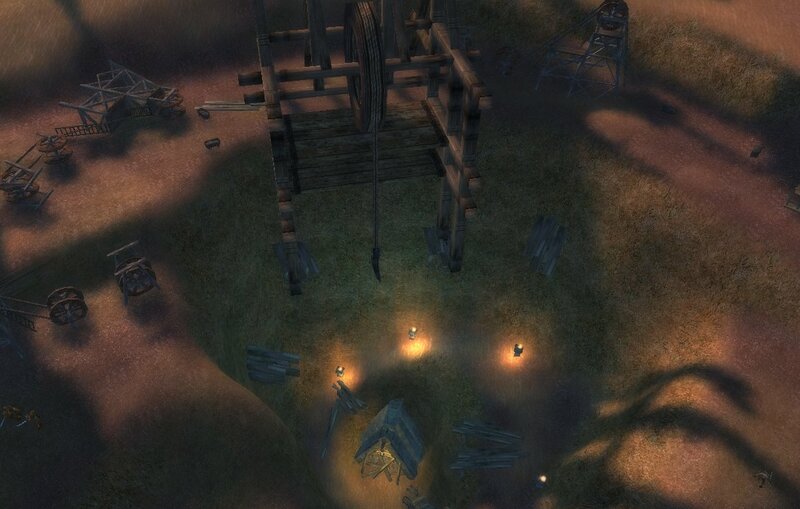 Act I Requien of the Wraiths You must be at least level 60 to be able to talk to the stone pillar. 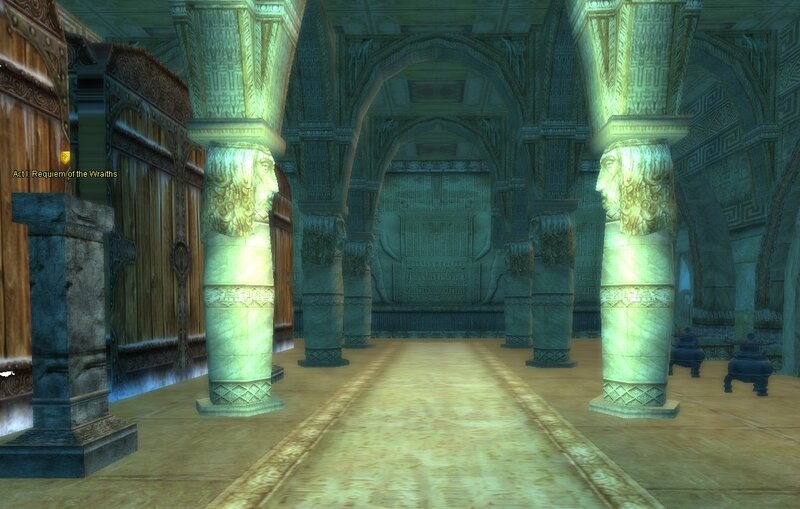 Act II Symphony of the Fates You must be at least level 74 to be able to talk to the stone pillar. Act III Aria of Dawn You must be at least level 88 to be able to talk to the stone pillar. 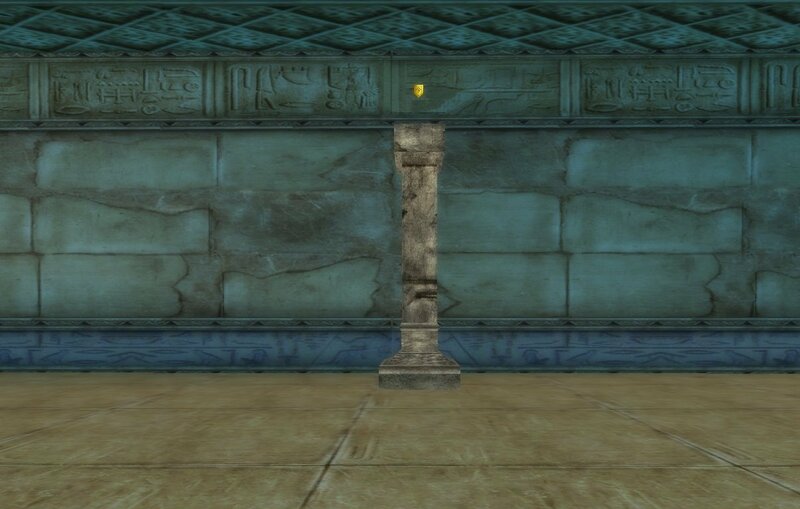 Once you talk to the pillar the blocking wooden door disappear and you can teleport in to the Act selected. 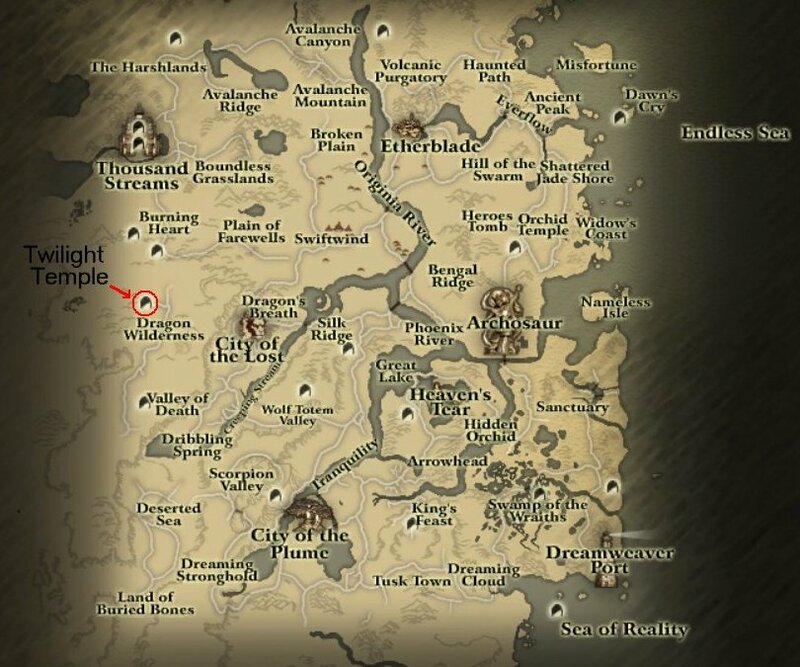 2) Upon entering, you will be asked to select the adventure mode. There are two modes to choose from. 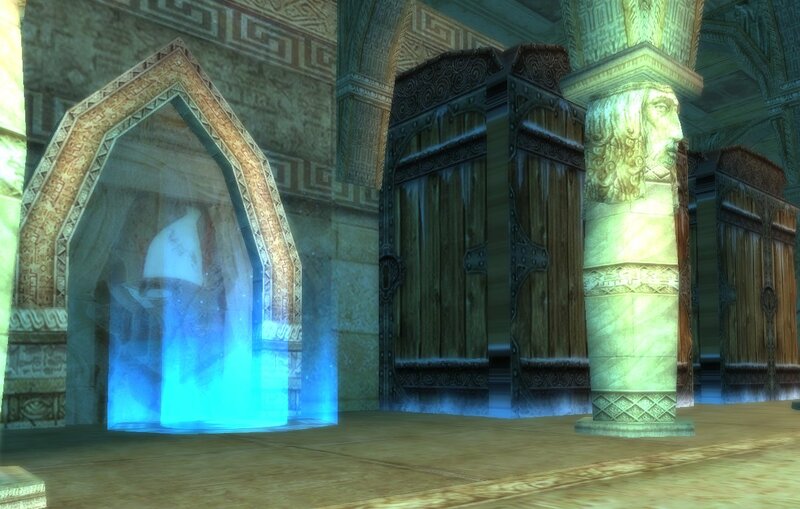 3) The next pillar will ask only the party leader to choose the level of difficulty you want your adventure to be. 4. Only in the party mode, there will be next two pillars that will ask you the number of bosses and monsters that you will face. Act Mode # of Monsters # of Boss's USB Req. 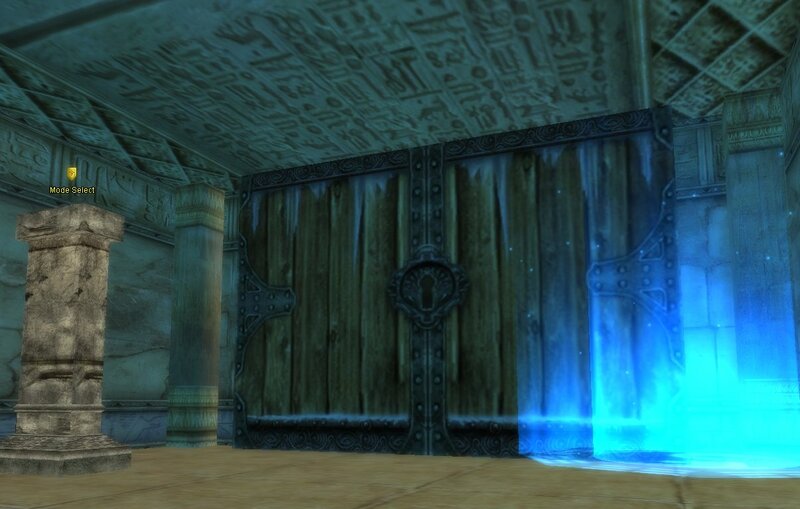 For certain conditions, the dungeon door will open if you have Ultimate Substance in your inventory. This item can be crafted from the "Twilight Forge: Materials" located inside the Twilight Temple or at the lower left side of Archosaur. 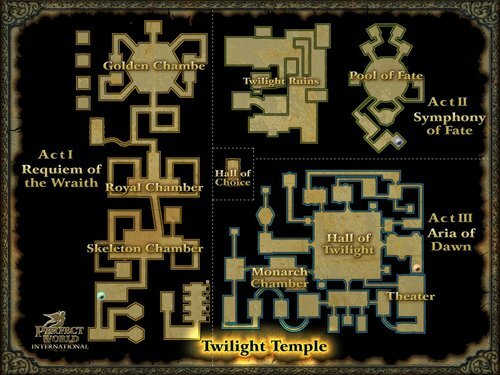 It is also required in the crafting of items from the Twilight Temple. * Disperse the party and leave the dungeon. Reorganize your party but the previous party leader should not be the same party leader.